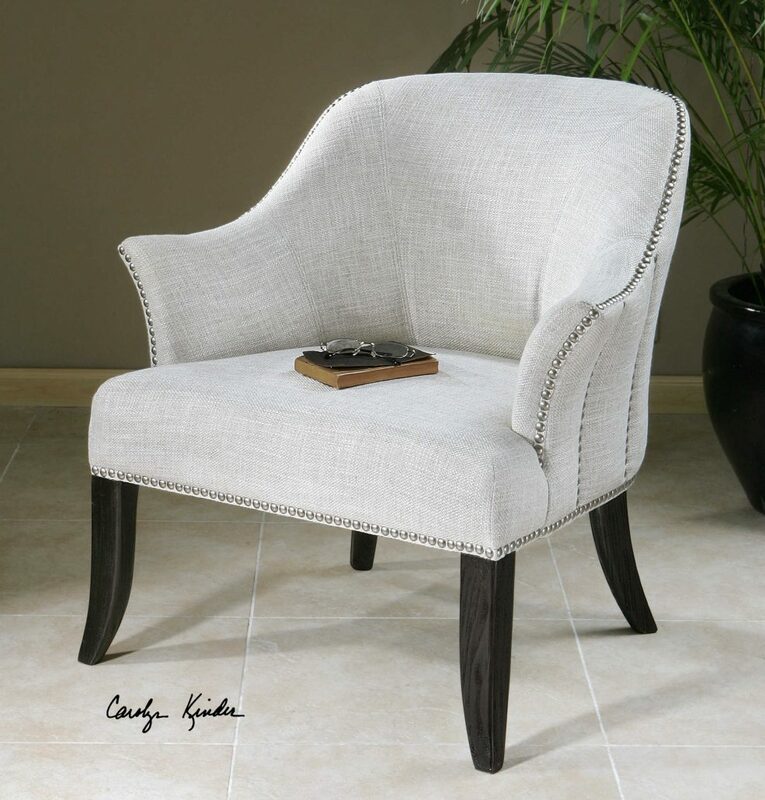 Designed by Carolyn Kinder International, the Leisa White Armchair features a soft linen and cotton slub weave in alabaster white, accented by rows of polished nickel nails and black stained, hardwood legs. Seat height is 18 inches. Available to trade professionals at Uttermost.com. For retail purchase Google keyword “Carolyn Kinder Leisa White Armchair”. For more information, <a href=”mailto:socialmedia@carolynkinder.com?subject=Product Enquiry” target=”_blank” rel=”noopener”>email Carolyn Kinder International</a>.